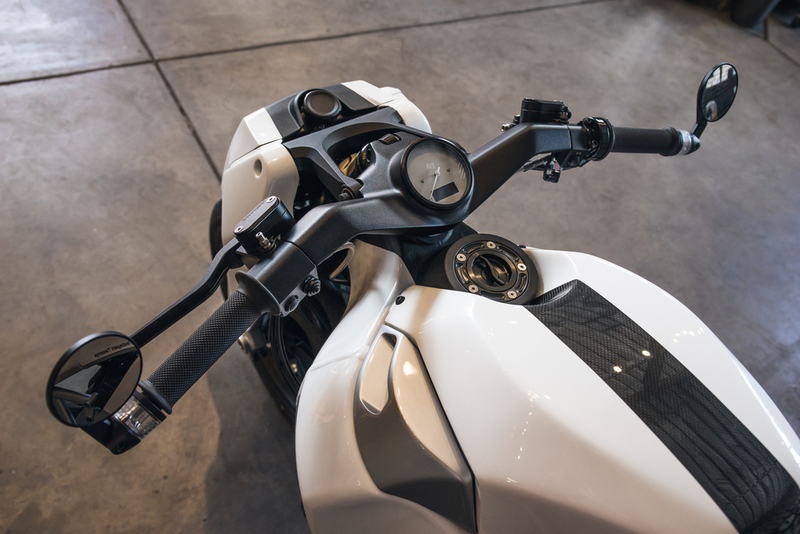 Models from this release feature a white and silver paint scheme, shock springs powder coated to match the motor, and ceramic coated headers and exhaust. Each bike has its Samurai name painted on the carbon fiber airbox, and number on the tail section. The instrument gauge face has also been custom designed by Ronin Motor Works in a silver color.